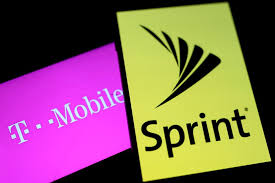 The FCC has once again stopped its informal "shot clock" merger review of the proposed $36.5 billion marriage between T-Mobile and Sprint. The FCC has paused its review following the filing of "substantial new information" by the operators on February 21. The FCC has asked for "Interested Parties to file comments" no later than March 28, 2019. If nothing from that process causes any further delays, the 180-day shot clock review will start again on April 4, which would be day 122 of the the 180-day process. The latest FCC twist comes after T-Mobile revealed more of its "home Internet strategy," which is designed -- according to T-Mobile CEO John Legere -- to challenge what he labelled as the "cableopoly." New Street Research stated in an analyst note about the latest development that the home Internet strategy was a "good political strategy" but not "a good anti-trust" move.